Looking to provide TV networks with a new advertising opportunity when viewers watch programs on their mobile and connected TVs, ad technology provider Watchwith has introduced new in-program ads tied to the context of the shows. Watchwith’s machine-vision technologies identify a program’s details on a frame-by-frame basis creating metadata so that highly relevant, interactive ads can be overlaid at particular moments. The in-program ads, such as promos, tune-ins, e-commerce and polls, can be IAB standard or Watchwith native formats. The in-program inventory can be sold direct by the TV network or automated via programmatic exchanges. Watchwith CEO Zane Vella told me that he sees the in-program opportunity as coming at a critical time for TV networks which are grappling with increasing ad avoidance (the’ embrace of ad-blocking in iOS 9 is the latest illustration of users’ attitudes towards ads). Ad loads in digital streams have also been steadily increasing, therefore diminishing the overall viewer experience. Zane also believes the wide proliferation of mobile and connected TV devices creates a unique opportunity for ads to be interactive, enabling viewers to engage with in-program overlays, creating value far beyond traditional in-stream video ads. When a viewer engages with a Watchwith ad, the underlying video automatically stops playing and resumes when the ad is put away. A key Watchwith differentiator is that it is a plug-in available in online video platforms like thePlatform, Brightcove, Kaltura and Adobe which are widely used by TV networks. Watchwith ads can be trafficked from existing ad servers such as DoubleClick, FreeWheel and Truex so they’re managed and sold cohesively as part of a TV network’s overall inventory. 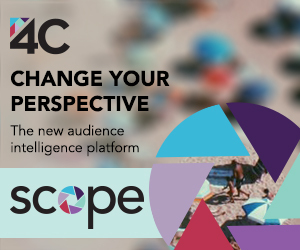 Because the ads are entirely data-driven, Zane believes they further TV networks’ larger goal of demonstrating enhanced addressability and targeting to advertisers. The Watchwith format has been tested by NBCU, Viacom, CBS and Fox networks among others. 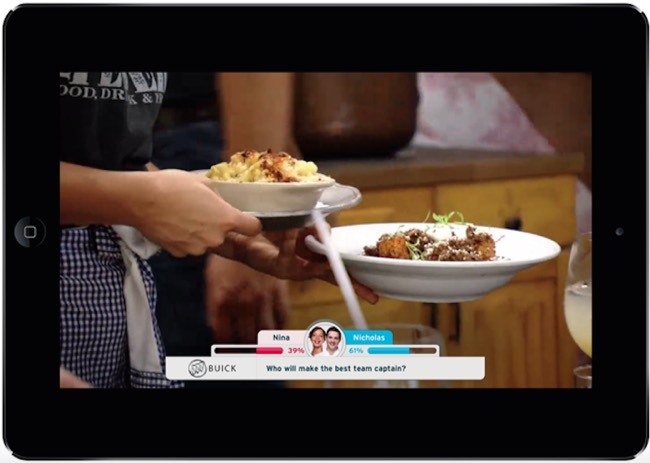 The example below shows how a Buick sponsored interactive poll can be displayed during an episode of Bravo’s “Best New Restaurant.” Zane said early implementations of the in-program format suggest that CPM-based pricing is actually more favorable than pricing for mid-rolls. Watchwith expects networks will begin scaling up their use of in-program ads over the next few months. How viewers react will be interesting to follow. On the one hand, a reduction in in-stream commercial interruptions is certainly a positive. But for the in-program ads to really work, and not become an annoyance to viewers, they’ll need to be contextual for both the program and targeted for the viewer. That means there’s highly detailed work for all the parties involved. If this happens and the in-program format catches on, it will be an exciting monetization opportunity for TV networks that are seeing more of their viewership shift to digital devices.